The renewal of Shamrock's starboard beamshelf has been completed with the cutting and fitting of the forward section. 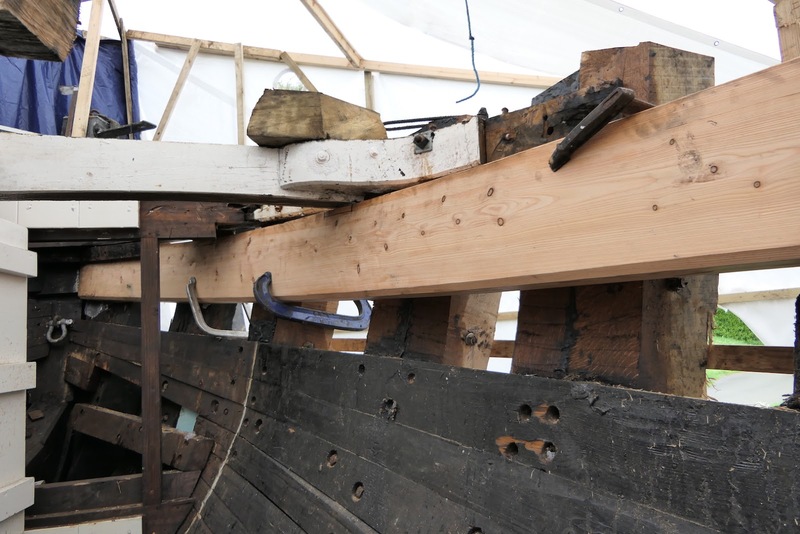 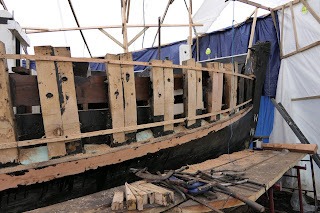 The first hull plank has been cut from a 9.75 meter (32ft) plank, steamed shaped and fitted. 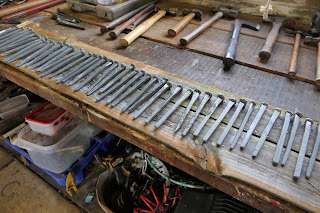 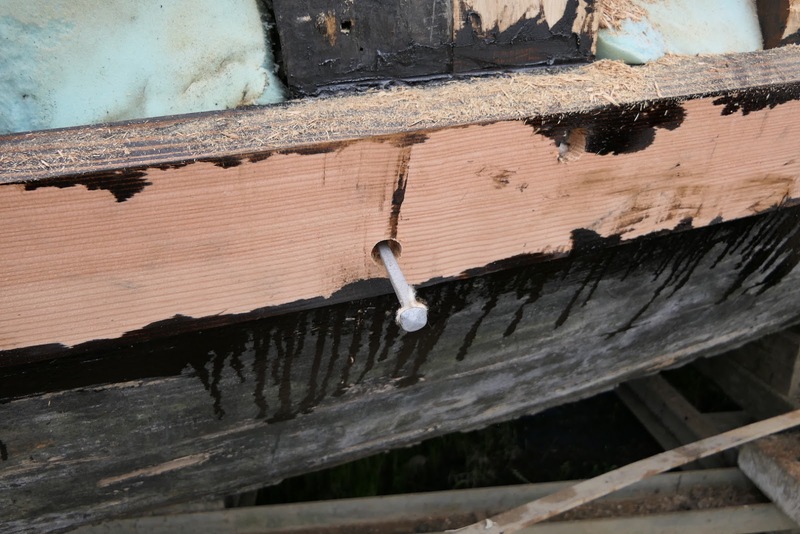 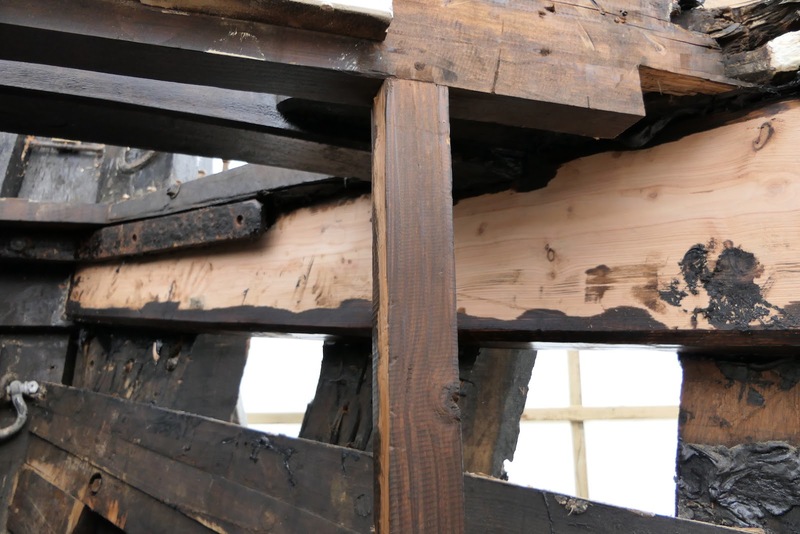 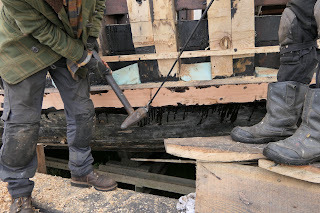 With the high cost of galvanised boat nails the crew have been employed in recycling a large quantity of old nails that where recovered during the removal of Shamrock's hull planks. 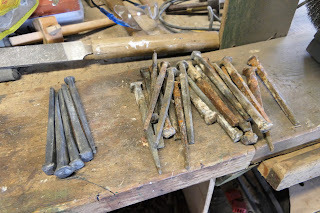 These have been straightened, cleaned and finally had a coat of galvanise paint. 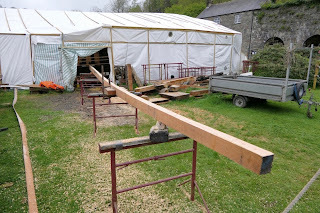 Beamshelf section bing checked for size and fit. First hull plank in place.